For many online casino players, Intercasino is very well known, thanks in no small part to the number of years it has been operating - indeed Intercasino was one of the very first virtual casinos to start-up in the late 90's. I already play here on a regular basis, so I decided it was time to update the review of this well-known gambling destination. I was particularly interested to see if the casino lived up to the 'Best Casino' award it has won for several years in a row.! Intercasino is powered by software from the Canadian provider, Cryptologic. 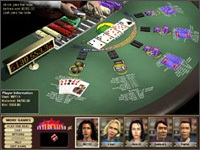 As players of this software type will already know, the best player experience is achieved through using the download version of the casino. However, for those seeking a quick gambling fix, a no-download version is also available. It should be noted though, that this instant casino contains only a fraction of the full range of games available. With the initial installer being only 525k, downloading should not be a huge issue, even on a dial-up connection. A free software CD is also available on request. A great feature of Inter Casino is the ability to choose an avatar (cartoon image) to represent you on screen. This is very handy when you want to participate in multi-player table games. Even handier is the ability to chat with your fellow gamblers as you play, which adds a nice social element to the proceedings. Promotions abound here at Inter Casino. First, you get a nice fat bonus when you make your first deposit. Then you get another casino bonus the first time you make a deposit in any given calendar month. This is known as a Lifetime Bonus because it applies to the lifetime of your membership – that’s quite a bonus! On top of all that there are various short term promotions such as blackjack tournaments and those tied in with sporting events, ensuring there’s always something different to take your interest. Installing the required software is easy, and so is signing up as a new user. 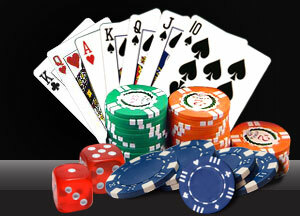 A standard form is used to gather a new players details, and players can opt to play on the US $ version of the casino or the UK Ã‚Â£ one. My account was in US $, and since I was already a member, I simply had to login with my username and password to be up and running. You can pay through the various deposit methods like Firepay, 900Pay by Navaho, Telebuy, Credit Card, Citadel, MasterCard, Electronic Check Processing, Visa, Wire Transfer, InstaCash, Check, and Neteller. Intercasino offers 100% match bonus on your first deposit. Newcomers receive a bonus of £50 and an additional bonus of £50 as match bonus each month. Being courteous to the floor managers could earn you bonus amounts of £50. You need to wager twenty-five times the initial deposit. Intercasino offers excellent customer support through e-mail or toll-free telephone. You receive replies to your queries within few seconds. Additionally, Intercasino offers a free call back facility to the players, which is unique to this casino. Intercasino supports games in more than eight languages like German, English, Chinese, French, Japanese, Italian, and Spanish. Intercasino allows game play in different currencies like Euros, US Dollars, and Pounds. Intercasino offers the highest levels of security to all the players and all their financial transactions. There have been many players winning jackpots worth $1,200 to $230,000 in a single game. This has been able to secure the trust of innumerable casino players across the world. Intercasino is a very authentic game site.